This is my friend. Her name is Doris. 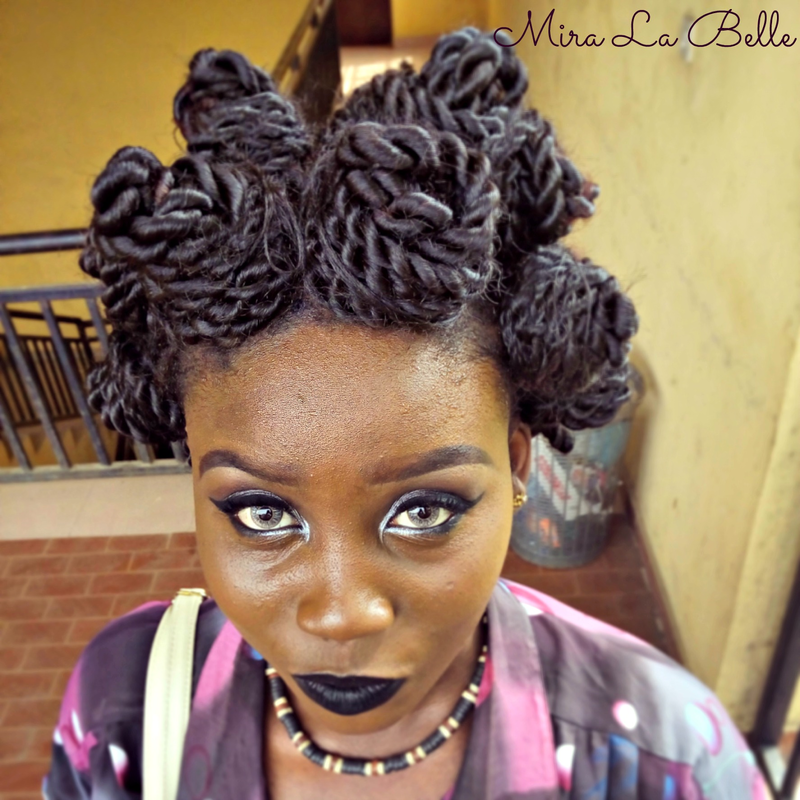 Yes, she is a daring fashionista who rocked Bantu knots in braids and the inspiration of this post. 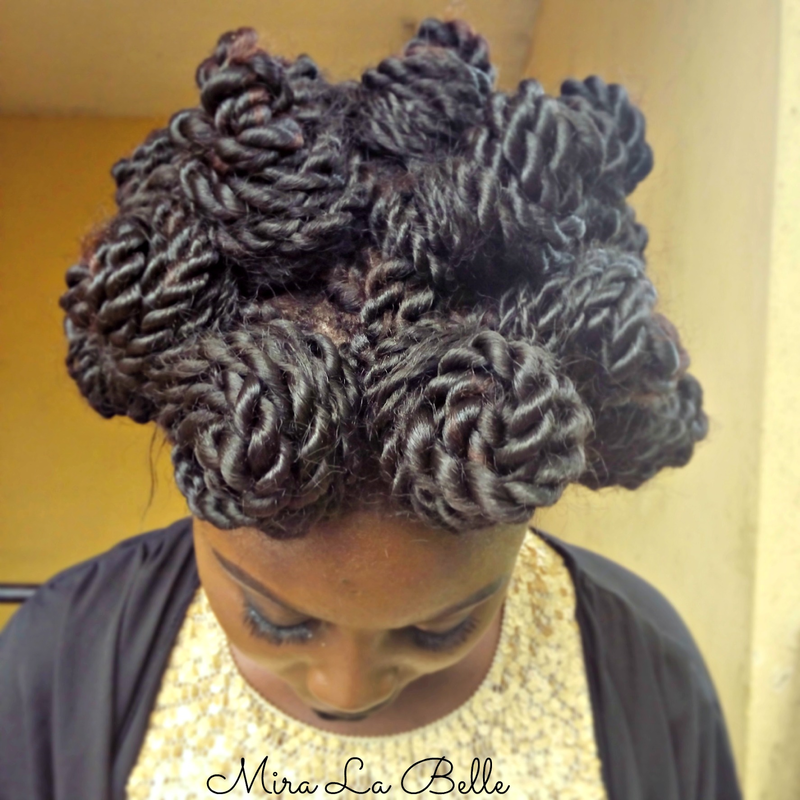 Bantu knots are typically rocked as a pre-hairstyle hairstyle. 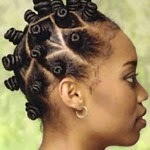 I mean, people mainly do them to get really curly curls and loose them almost immediately they feel the hair is curled. The results are pretty easy to achieve and last long enough. 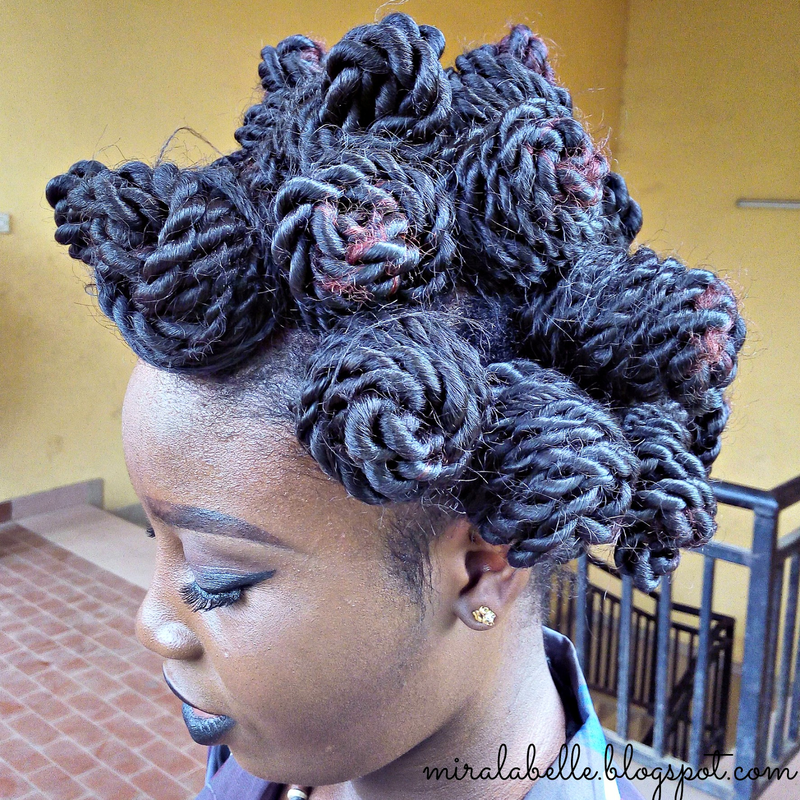 Known to be originally from west Africa, Bantu knots have now spread round the world and became a common method of curling hair. 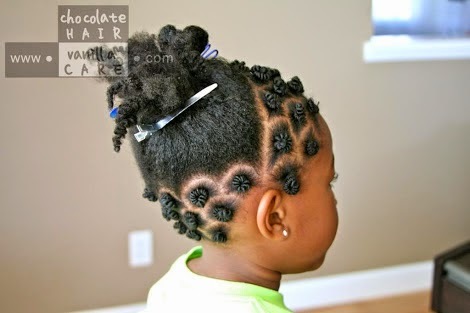 In those days, our grand parents and their grand parents would do Bantu knots for the sole purpose of wearing the knots as a hairstyle not just as a curling method. People have begun to rock the style while still in knots. Using braids brings a new, chic dimension to it. 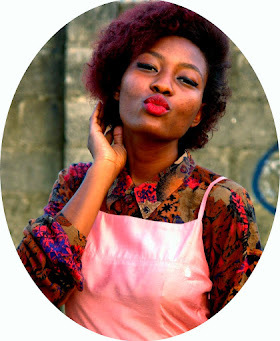 My friend basically looks like a sophisticated village girl. Remember when everyone would paint their lips black with drawings all over their bodies? Ethnic beauty I tell you. So I really don't understand why Doris' lipstick developed A LOT of stares. I guess it was the combo of the hair and lipstick. Pictures of my friend where taken by yours truly. 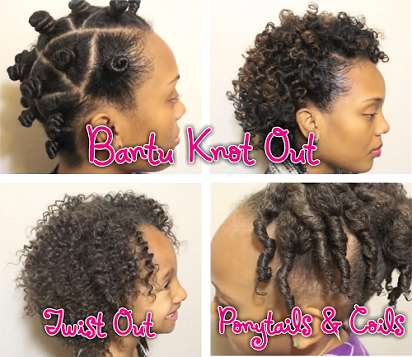 Wondering how to tie Bantu knots? Check these tutorials here, and here. Wishing you an enjoyable and relaxing weekend ahead! What do you think? Would you rock this style? 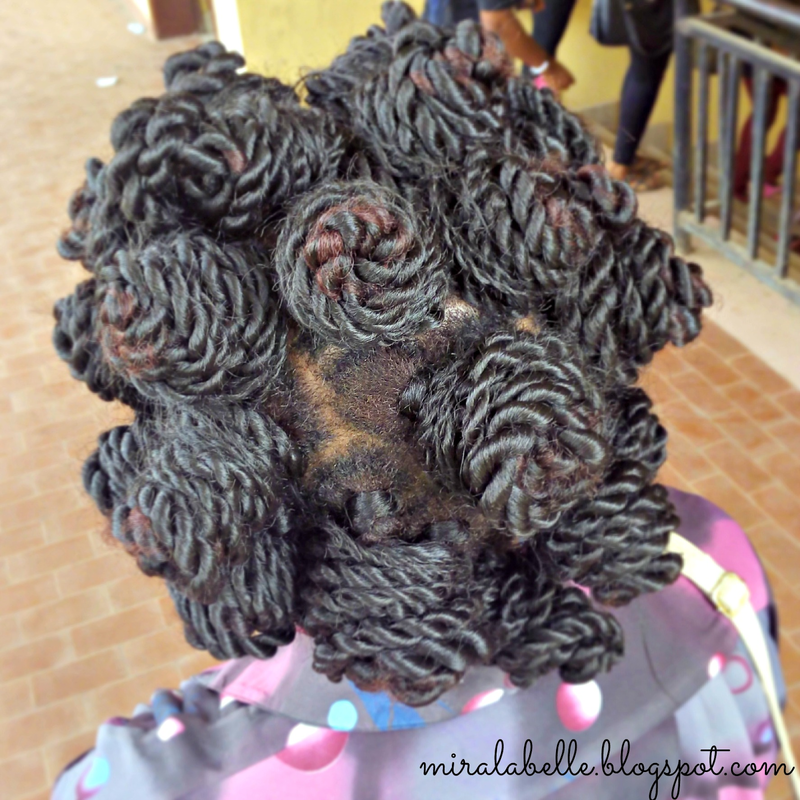 Ever done Bantu knots? Let me know in the comments, I'd like to hear from you! Very stylish cool blog doll. Thank you so much! I'm sure the style looked fab on you. Also want to try it but I cut my hair too. Big ones make a statement, small ones are fine too. Thanks for your input. But I love the bigger ones, they make more sense to me though I feel it wl be stressful@night. Nawah for us ooo, too much weaves. I love this! Brings back memories! I had this on every other week in secondary school, It really felt cool back then, Glad to see its a trend. I should try this soon! Wow! Your friends makeup is really daring lol. The hairstyle looks good though, reminds me of the Efik people. What I do love most however is her contact lens, they look absolutely stunning. Hoping to try out one sometime too.